HONOLULU (HawaiiNewsNow) - The state Department of Land and Natural Resources voted to fine the owner of the Pacific Paradise $290,000 for the October 2017 grounding off of Kaimana Beach. 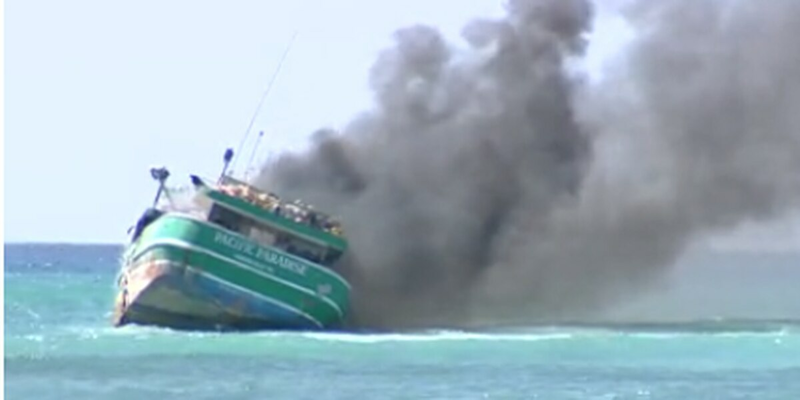 The DLNR said the steel-hulled fishing vessel, which sat on the reef for 58 days, destroyed 18 coral colonies and 1,300 square meters of submerged rock. But an attorney for boat owner TWOL LLC said the company has spent more than $1.5 million to clean up the wreck and now can’t pay the fine. “The penalties proposed ... vastly exceed what’s either allowed by law or what they can prove," said attorney Bryan Ho.